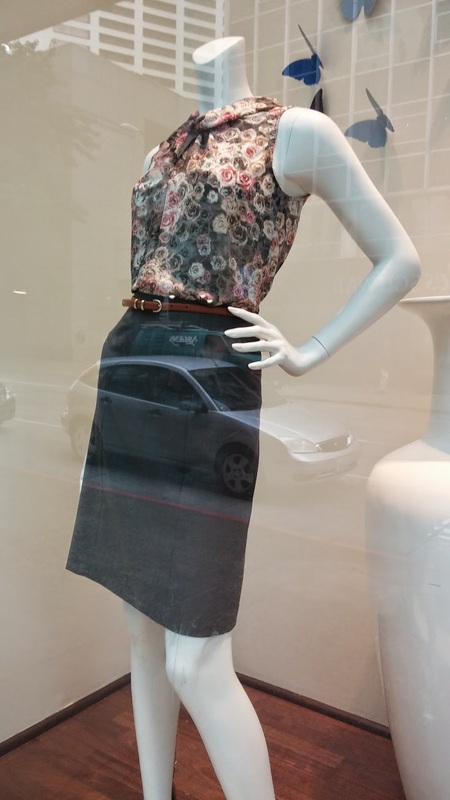 What's not to love about this simply gray pencil skirt and the soft colors of the lovely silk floral blouse with a unique twisted collar? This wonderful cotton skirt is pleated around the hips that release into soft, full folds. 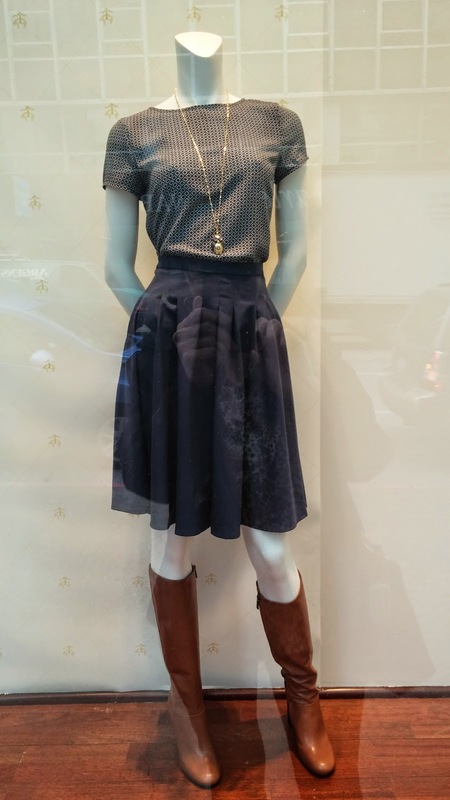 The simple design of the, dare I say it, foulard blouse tops the skirt perfectly. Love the skirt in the second outfit! Agreed! The pleats are done in such a subtle way to fit the waistline to the hips, the result is still a flared, flirty fullness. Very cute!